Rope Services Direct (RSD) created www.wire-rope-direct.com to promote our range of wire rope products, services and the industry as a whole. The content on this website is fundamental in delivering insight and value to website visitors. The production of content takes significant time and effort; we therefore need to protect content copyright with a view that our content is only published at www.wire-rope-direct.com. In order to remove any ambiguity on RSD’s intentions regarding copyright we have published our full policies in this Copyright Statement. We ask that visitors read through and clearly understand every aspect of this statement before they re-use any of the content on this website. Rope Services Direct are the exclusive copyright holder and owner of content found on https://www.wire-rope-direct.com/ (except in a few cases where we accredit other owners on the page). 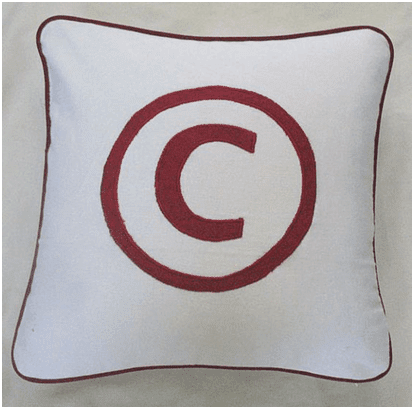 Copyright ownership is not just for text, but also extends to source code, photography and images, audio and video clips too. Rope Services Direct expressly prohibits the re-use of content for commercial purposes. Re-use is intended to cover not just full pages, but partial pages, modifications/adaptations in addition to the widespread use of our content across a group of websites. Rope Services Direct understands that some of our content may be of benefit to students and for use as research. In general RSD are delighted for the content on this website to be used for personal reasons. This includes downloading our content and retrieving later on arrange of devices (e.g. laptop, PC or mobile phones). Feel free to also print off content from the website where consumption is for personal reasons. Please do share links to our content via social media websites, backlinks pointing to our content on other websites are especially appreciated and helps spread awareness of our website as well as aiding SEO. Alternatively complete the contact form at http://www.wire-rope-direct.com/contact-us complete with an explanation as to why you wish to re-use our content. We always endeavour to aim content re-use requests quickly; these will usually be answered within 72 hours of receipt of request. In all cases RSD reserves the right to decline the use of our copyright content. We don’t have to provide a reason for the declination, which will usually be because the content re-use is not in the best interests of Rope Services Direct. In cases where RSD believes copyright has been infringe we reserve the right to take legal action for breach of copyright. RSD will always seek to provide a non-legal solution first. Wherever we can, we will always seek to discuss suspected copyright breaches with third parties. We will usually send an email or complete a contact form with a request to modify the content so it is unique or that it is removed in its entirety. Provided the content is removed in a reasonable time period then no further action would be taken. In situations where all of our efforts have been ignored or maybe refused then RSD reserves the right to take legal action, no further notice will be given. If you see RSD content copied to other websites and/or printed materials please do contact us. Even if the content has a backlink to RSD please contact us. We will investigate the potential plagiarism and take action with the other party where appropriate. RSD work really hard to provide 100% unique and engaging content for this website. In exceptional cases it may appear that RSD has breached your copyright. If you suspect this is the case we ask that you contact us without delay. We treat such notifications seriously and will aim to resolve the matter as quickly as possible. The time you have taken to read this copyright statement is much appreciated, Rope Services Direct values your time. This Copyright Statement was last revised on 2nd July, 2016. Copyright Statement Overall rating: 5 out of 5 based on 6 reviews.